Looks better, plays better, maybe even smells better. Remember that time Overkill projected a June release for PAYDAY 2: Crimewave Edition? Turns out they were right. Imagine that! The all-in-one Xbox One and PS4 release will appear in Europe June 12 and in North America on June 16. 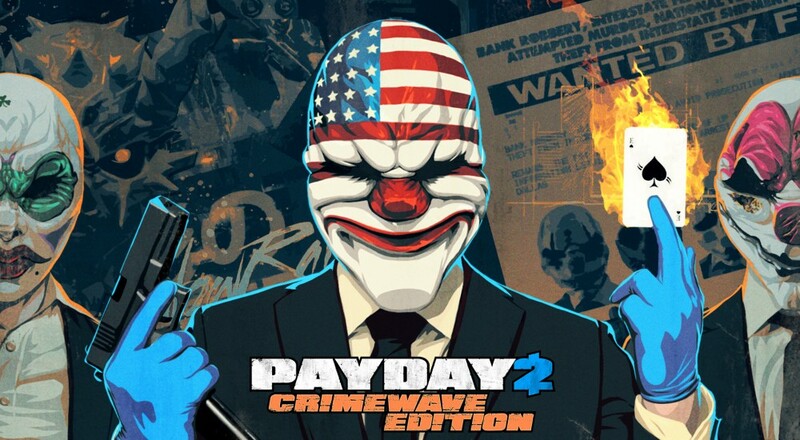 The thing about Crimewave Edition is that a lot of it already exists on the PC version of PAYDAY 2. You know, because it's clearly the best gaming platform (round 57... FIGHT!!!). File size limitations have made Xbox and PlayStation versions a little lackluster by comparison, but Overkill plans on making up for that with the upcoming release. Most of the updates, missions and additions released on PC will make it to Crimewave, all making use of better textures displayed at 1080p. Future content releases promised through 2016 should hit all systems at about the same time, as well. See? We don't have to fight after all! Pre-ordering is still up for PAYDAY 2: Crimewave Edition, which earns you a 25% discount along with some digital content bonuses in the form of exclusive masks and in-game cash. It's the best way to play PAYDAY 2 on consoles, so pony up the pesos and get ready. Page created in 0.2237 seconds.